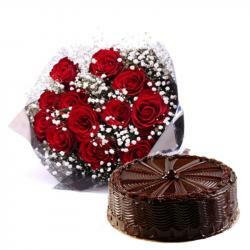 Product Consist : Bunch of 12 Red Roses, 1/2 Kg Round Dark Chocolate Cake along with Cadbury Celebration Box (Weight : 125 Gms). 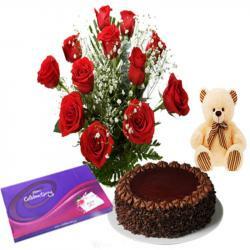 A lovely way to express your love with sweetness by gifting this tasty assortment chocolate of Cadbury Celebration box and also Flower is the best gift to convey your deepest thoughts and emotions. 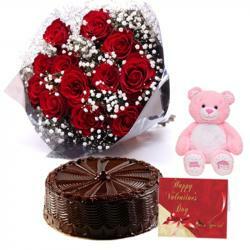 you want to send something tempting gift to your special person then try this yummy chocolate cake which makes your love one extra joyness on this valentines day. 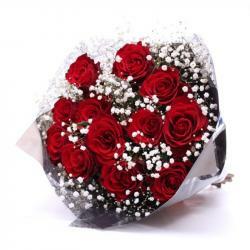 The overall look of the combo will bring liveliness in the air and will be loving by all. 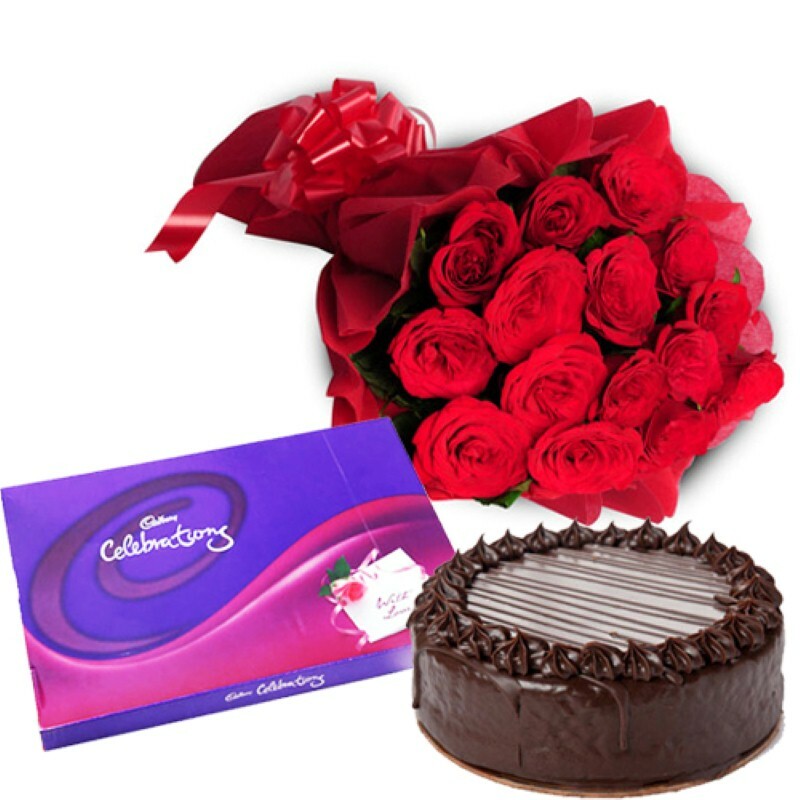 Product Includes : Dark red net wrapping Bunch of 12 Red Roses with 1/2 Kg Round Dark chocolate truffle cake and Cadbury Celebration box (Weight : 125 Gms).